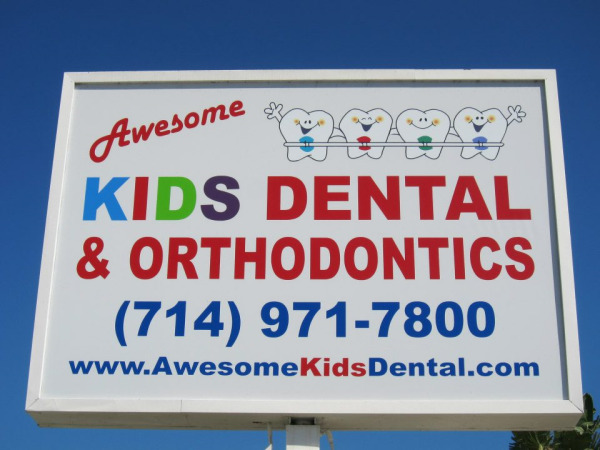 You will find our office conveniently located at 2207 South Harbor Blvd between Katella and Chapman Ave. We are located just down the street from Disneyland! 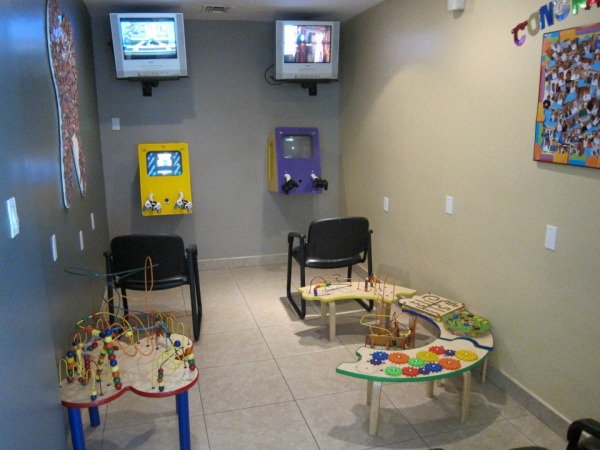 Our waiting area for patients and parents has a flat screen TV with movies to entertain those waiting for their children. 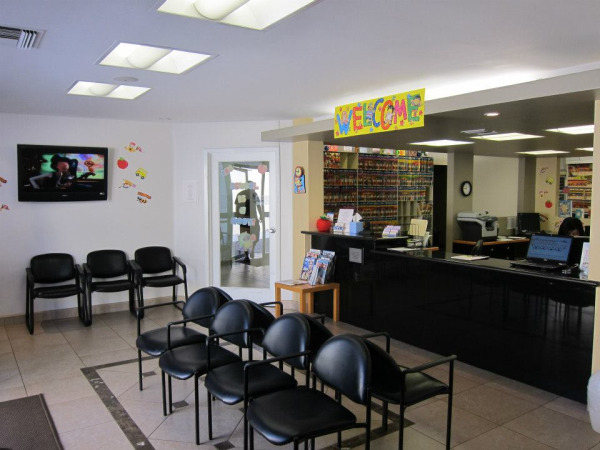 We have two Playstation 3's in our waiting room so that you may stay entertained while you wait for your appointment. Coming soon: iPads on the walls! 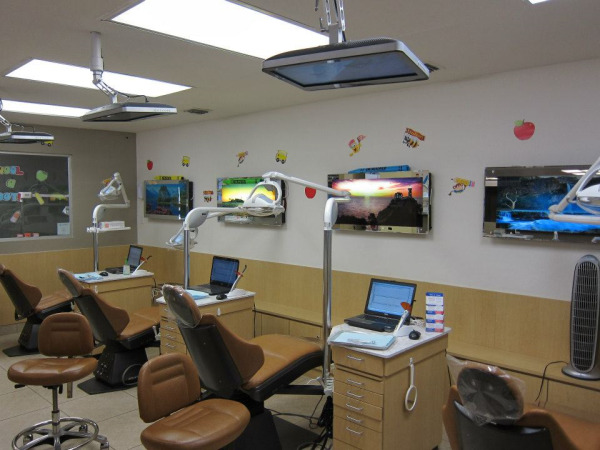 The orthodontic chairs all have flat screen monitors above the patients chair so that you can watch your favorite movie while the orthodontist works on creating that beautiful smile. 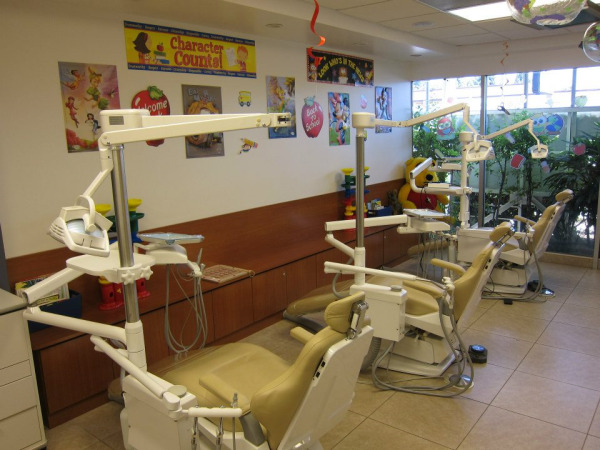 Our pediatric dentist bay where your child will get their teeth cleaned and checked. Thanks for checking out our office! If you have questions or concerns. Please click the contact us button above!